Wii U owners were pleased to find that the arcade classic Pac-Man found its way to the Wii U shop just about two weeks ago. Not bad to get some excitement about a game getting close to its 33rd birthday. But yesterday, something no one expected happened. A second Pac-Man piece of news in a month popped up with an all new Pac-Man title. Pac-Man would be returning in an all new game. 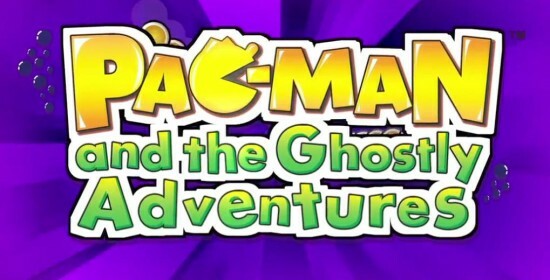 Namco Bandai will be releasing Pac-Man and the Ghostly Adventures this fall to the XBox 360, PlayStation 3, Wii U and Nintendo 3DS. The hungry little sphere that could is coming back to 3D (with a sidescroller for the 3DS, go figure) with some new powers not yet seen before… well that’s not entirely true. From the look of the trailer below, there will be a transformative power set to the game where upon eating various ghosts, Pac-Man acquires certain abilities. Sounds a little bit like Kirby, wouldn’t you say? Well even though we only see one of these in action, there is certainly a Kirby-esque feel to the way the game looks to play.